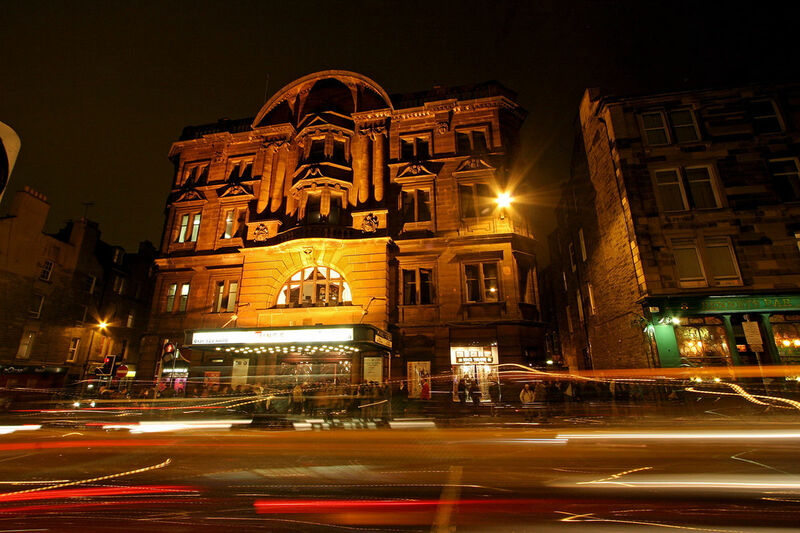 Opened in 1906 and recently refurbished (complete with domed auditorium ceiling painted by renowned Scottish artist John Byrne) The King’s Theatre plays host to many of the International Festival’s theatre shows. Edinburgh is very compact, which makes it ideal to explore on foot or by bicycle. See below for information about getting to the venue. If you are looking for general advice on travelling within and to Edinburgh, visit our dedicated page packed with useful tips and information. Arrive at venues in plenty of time as latecomers may not be admitted. Your safety and security at International Festival events is of the utmost importance to us. Please note that bags may be subject to security searches and you should not bring bags larger than 30cm x 30cm x 15cm to our venues. No larger bags (or similar) will be allowed into the venue. There is no cloakroom to store belongings. If you spot anything suspicious during your visit to the International Festival, please do let a member of the team know.